Classroom Freebies Too: Do Your Students "Get It?" Do Your Students "Get It?" I've got a classroom trick up my sleeve that may make keeping track of your students during independent work time a lot easier! 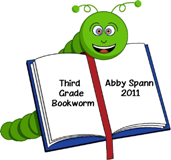 Hop on over to Third Grade Bookworm by clicking on the picture above or on my button below. It's a quick and easy project you can complete before your new munchkins arrive for the new school year!